With a stay at Parker Palm Springs in Palm Springs, you'll be within a 5-minute drive of San Jacinto Mountains and Wet'n'Wild Palm Springs. This 5-star resort is 4.1 mi (6.6 km) from Palm Springs Convention Center and 7.3 mi (11.7 km) from Palm Springs Aerial Tramway. Make yourself at home in one of the 144 air-conditioned rooms featuring minibars and LCD televisions. Your bed comes with down comforters and premium bedding. Cable programming and DVD players are provided for your entertainment, while complimentary wireless Internet access keeps you connected. Private bathrooms with shower/tub combinations feature designer toiletries and bathrobes. Relax at the full-service spa, where you can enjoy massages, body treatments, and facials. If you're looking for recreational opportunities, you'll find a health club, an outdoor pool, and an indoor pool. Additional features at this resort include complimentary wireless Internet access, concierge services, and babysitting/childcare (surcharge). Grab a bite at Norma's , one of the resort's 2 restaurants, or stay in and take advantage of the 24-hour room service. Snacks are also available at the coffee shop/café. Mingle with other guests at the complimentary reception, held daily. Unwind at the end of the day with a drink at the bar/lounge or the poolside bar. Breakfast is available daily from 7 AM to noon for a fee. 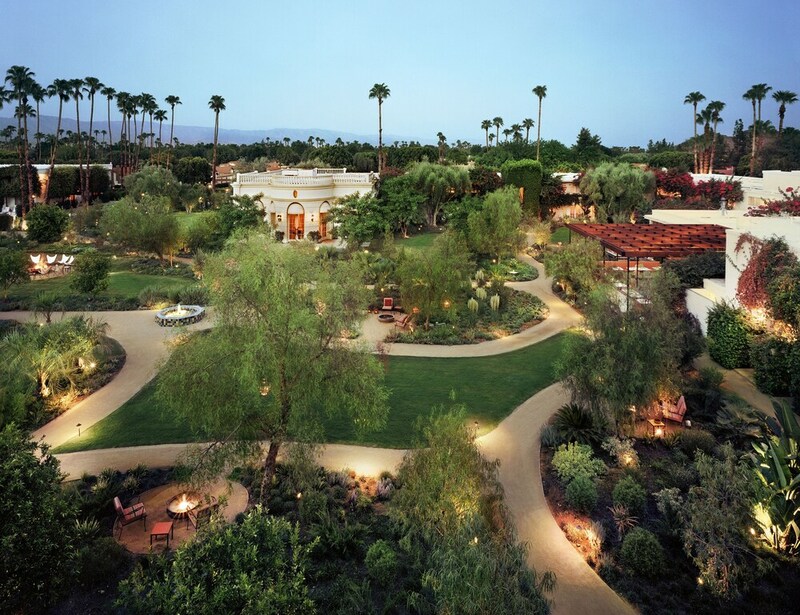 In addition to a full-service spa, Parker Palm Springs features an outdoor tennis court and an indoor pool. Dining is available at one of the resort's 2 restaurants and guests can grab coffee at the coffee shop/café. Guests can unwind with a drink at one of the resort's bars, which include a poolside bar and a bar/lounge. A complimentary manager's reception is offered each day. Wireless Internet access is complimentary. A 24-hour business center is on site at this 5-star property. This luxury resort also offers an outdoor pool, a health club, and a spa tub. Complimentary self parking and valet parking are available on site. Parker Palm Springs is a smoke-free property. Norma's - Onsite restaurant. Open daily. Mister Parker's - Onsite fine-dining restaurant. Open daily. Counter Reformation - Onsite wine bar. Open daily. An outdoor tennis court and a health club are featured at the resort. An indoor pool, an outdoor pool, and a spa tub are on site. Other recreational amenities include a sauna and a 24-hour fitness center. PSYC has massage/treatment rooms. Services include facials, body wraps, body treatments, and manicures and pedicures. A variety of treatment therapies are provided, including aromatherapy and hydrotherapy. Rollaway/extra beds are available for USD 30.00 per night.